Gather 'round, everybody... group shot! 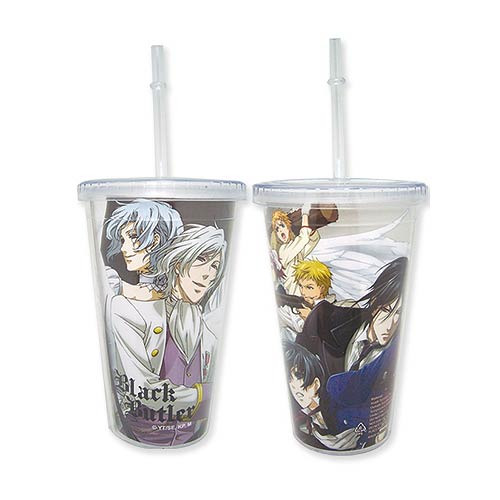 Enjoy a beverage of your choice with this Black Butler Group Tumbler with Lid as you settle down to enjoy your favorite chapters or episodes of Black Butler. It includes a lid and straw. Hand wash only. Not dishwasher safe. Do not microwave. Measures approximately 6 1/2-inches tall. Ages 15 and up.